Our Montana fly fishing guides offer unparalleled trips on North America's highest density of blue ribbon wild trout waters. We offer a variety of angling experiences that include day trips, lodging packages and wilderness camping adventures. Our dedicated crew has over 100 years of combined experience on over a dozen blue ribbon rivers and world class private waters. 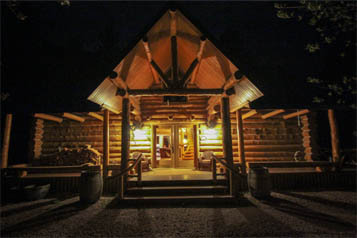 Our customized packages include accommodations with the regions finest fishing lodges, hotels, cabins and rental homes. We are happy to design the perfect fishing vacation that maximizes your valuable time away from home! "Your team at Montana Angler was totally committed to us on our trip to the Circle P Ranch. Matt and Adam were awesome and took care of every need we had. The days of fishing were filled with good fun and fish and we had some really awesome days. The food was also great and we ate like kings"
Our staff is composed of well educated, passionate and patient professionals. Our numerous permits, special equipment and exclusive private ranch access allow us to fish more water. We have Montana's largest selection of fly fishing and lodging packages so we can help you find the perfect trip. Read our guest testimonials to see why we have one of the highest return client rates in the outfitting business. Stay up to date with fishing forecasts, trip reports and special offers.